What are your alternatives when it comes to conservatory roofs, and which is the best conservatory roof for you? If you want to properly enjoy your conservatory every day, come rain or shine, then you really should have paid particular attention to how to manage the temperature of the room. 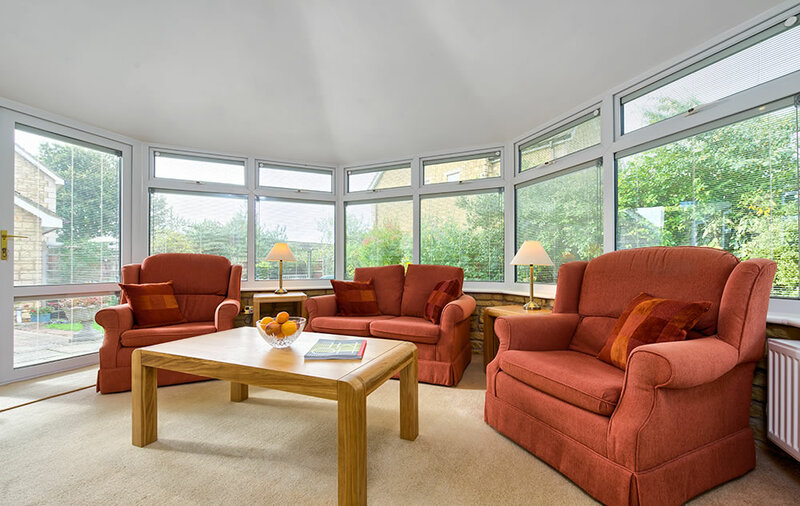 Many homeowners who have not done so, complain that their conservatory can become unusable during sunny days or during the cold winter months. One method that has become popular over recent years, is to replace polycarbonate or glass conservatory roofing with a solid or tiled conservatory roof. Why change to a solid conservatory roof & the Pros & cons of tiled conservatory roofs. 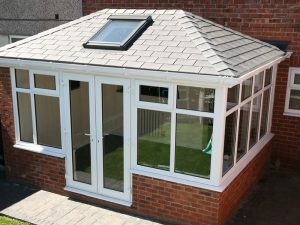 What type of tiled conservatory roofs are there in the market? How long does it take to replace a glass conservatory roof with tiled roof? Tiled roofs for conservatories: Why change? A large number of conservatories, when they are first built, make use of poly-carbonate panels for the roof sections. Polycarbonate is lightweight and cheap, which are two big incentives for anyone to use them. However, this material does have a certain set of drawbacks that many owners complain about later on. 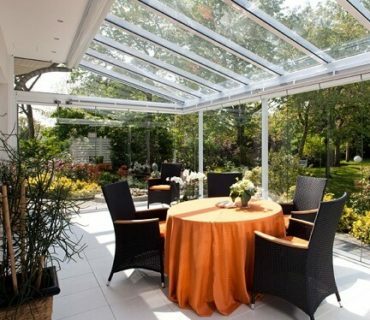 What are the biggest problems that conservatory owners have with glass & polycarbonate roofs? If we exclude straightforward problems like major leaks, failure due to old age or breakage, the most issues arise with thin polycarbonate sheeting (thickest is 35mm, thinnest 4mm), single glazed glass installations and older double glazed roof panels. 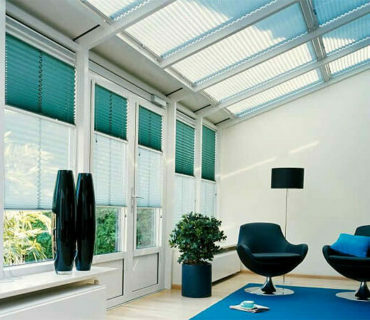 Glare can be tackled, much less dramatically and at a much lower cost, by installing blinds or even fitting tinted film. The problems are worse when combined with the 2nd & 3rd issues. The problems with heat, cold and condensation are all related to insulation and ventilation. So the primary reasons for changing to a tiled conservatory roof are therefore quite obvious, if you suffer from any of the issues mentioned above. What are the Pros & cons of tiled conservatory roofs? The advantages of tiled roofing for conservatories are two-fold. The first being function, the second being form. In other words, how they look and how they work. Able to use the conservatory all year-round. Cost: A tiled replacement conservatory roof will cost more than glass or poly-carbonate. Weight: Solid roofing weighs more than translucent roofing. You may have to strengthen the existing conservatory frames (at an extra cost). What type of solid & tiled conservatory roofs are there in the market? A solid conservatory roof can be covered with a wide range of tile designs or even use composite panels. You could also opt for a part glazed conservatory roof style, where large sections are glazed instead of tiled to allow higher levels of natural light within the conservatory (inset glazing). Concrete tiles: The same type of tiles that you see on house roof all over the UK. Concrete tiles come in many designs, colours and smooth or textured surfaces. They are quite cheap themselves, but need string support underneath because they are heavy. Some concrete tiles can also absorb water, making them even heavier during prolonged wet weather. Quarry slate: A natural slate conservatory roof will make quite a visual statement, looking awesome. Natural slate tiles last virtually forever, but they can be pricey. Synthetic roof tiles: The use of synthetic tiles is on the increase, with some designs being visually indistinguishable from real quarry slate. Manufactured from a combination of materials like recycled plastic, rubber, mineral dust, limestone or cellulose these coverings are typically very light and long lasting. Available in a very wide range of colours, sizes and finishes. Insulated Panels: Less intrusive, and therefore generally a less complex option is to fit insulated panels. Lightweight insulated panels can be fixed in a working day in a lot of cases. But they are not really what we would term as a proper solid roof, more of a replacement panel. Interior Insulated paneling: Effectively, this is just fitting an internal ceiling to your existing roof. Caution is advised here. If the fitting is not done in such a way as to allow proper ventilation, then it’s likely that you are going to end up with a condensation problem. How much do solid conservatory roofs cost? The size of the new installation & the design style. Type of roof frame (timber / aluminium). How much work is needed to remove the old roof? Internal works (lighting, wiring ceilings decoration etc). What are tiled conservatory roof prices? It’s notoriously difficult to find specific “solid conservatory roofs” prices on the web, for the reasons given above, but you can find reference to solid conservatory roof prices per square metre and some guidance to price brackets. The only way to know for sure is to have your property surveyed by a professional and then have them draw up written quotation based on that survey. The price should include internal finishing and lighting, plus the type and terms of the guarantees on offer. Changing your conservatory roofing is not something that you are likely to do more than once in the lifetime of the room, so doing it right first time is essential. 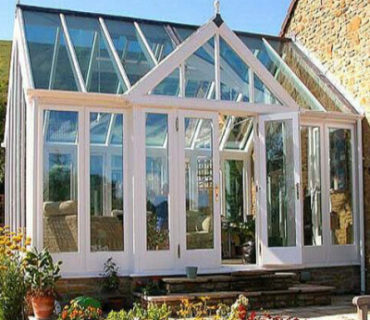 The financial investment may not be small but the returns are good, and you will be enjoying 100% of your conservatory 100% of the time for many years to come. No more days where it’s insufferably hot, unbearably cold or insanely bright, just a super-comfortable place for you and your family to enjoy all year around.